ALBANY, N.Y. — A county in New York City’s northern suburbs declared a state of emergency Tuesday over a measles outbreak that has infected more than 150 people since last fall, hoping a ban against unvaccinated children in public places wakes their parents to the seriousness of the problem. 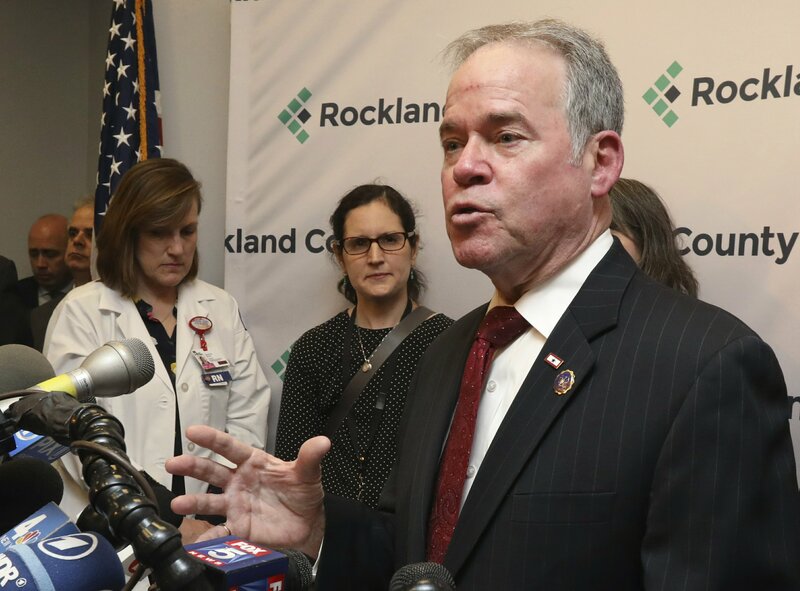 “It’s an attention grab, there’s no question about it,” Rockland County Executive Ed Day said at a news conference, noting that he didn’t believe such a drastic step has ever been tried in the U.S. before. Sussman said a quarantine of measles patients and those close to them would quickly stop the disease’s spread. This month, a federal judge, citing the “unprecedented measles outbreak,” denied the parents’ request to let unvaccinated children return to the Waldorf School. The lawsuit said the county’s order banning unvaccinated children from schools regardless of religious or medical exemptions violated their constitutional rights. On the same day as the federal judge’s ruling on the school children, pediatric organizations expressed support for state legislation that would allow minors to get vaccinated without parental consent. The state legislation’s Democratic sponsors said too many parents believe unsupported claims that vaccines are unsafe and cause autism or other conditions. Day echoed that message, noting celebrities who have spoken out against vaccines. The Centers for Disease Control and Prevention lists six measles outbreaks, defined as three or more cases, around the country in 2019, including Rockland County’s. The CDC said the outbreaks are linked to travelers who brought the disease back from other countries, such as Israel and Ukraine, where large measles outbreaks are occurring.